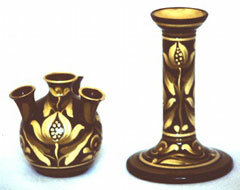 Aller Vale Pottery was formed in 1881 and was in business until 1932 (not as recorded in other sources). The production covers Art wares, applying Arts & Craft principles, from 1881 to around 1905, the Mottowares from around 1897 to 1932. 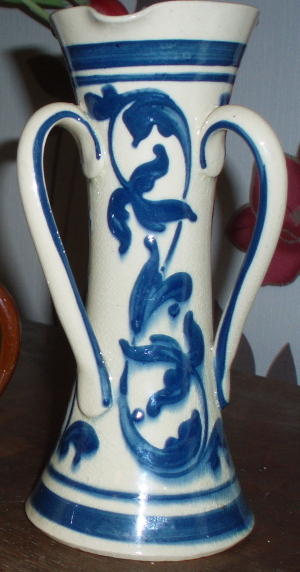 The last 30 or so years as a subsidiary pottery to the larger Watcombe pottery, under the ownership of Hexter Humpherson & Co. It might seem obvious to suggest that all the Torquay Potteries came into existence for purely commercial reasons. 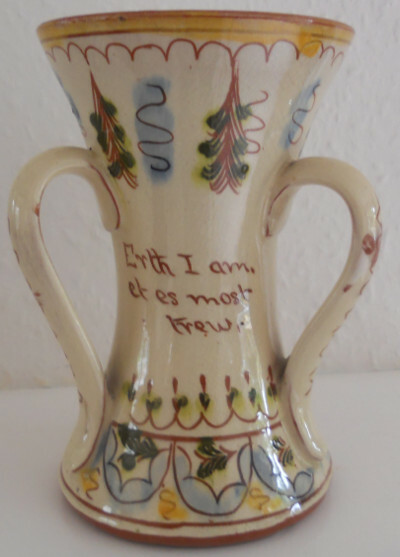 This certainly would have been true if it were not for the unusual circumstances which brought about the establishment of the Aller Vale Pottery in 1881 on the site of an ‘ancient’ pot works approximately 1 mile from Newton Abbot on the A380 to Torquay. What distinguished the operation and output of this pottery was the vision of one man, the influence of a national movement and the involvement of a whole community. 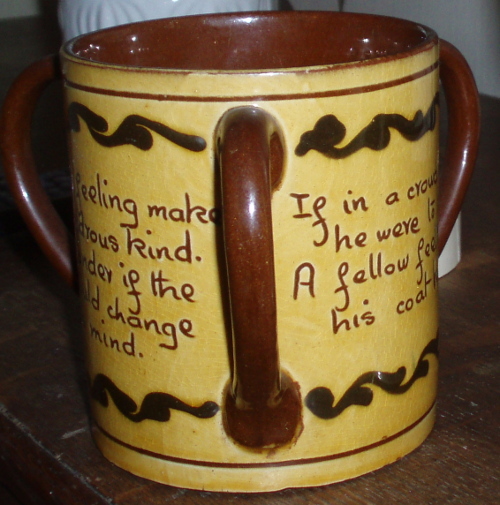 The man was the owner John Phillips; the community which encircled the pottery, included Kingskerswell, Abbotskerswell and Coffinswell, together known as ‘the villages of the three wells’. A countrywide movement towards the returning of arts and craft skills to the working classes, through teaching in the community, was instigated by the many ‘well-to-do’ followers of Morris, Phillips included, and became generally known as the Arts and Crafts Movement.